Big square sturdy box. 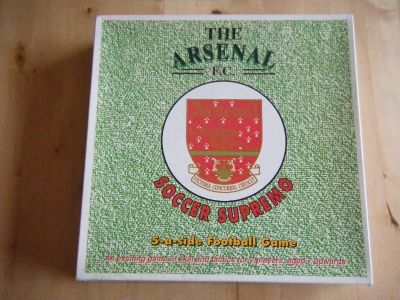 This one has been ruined by the inclusion of an Arsenal logo on it! 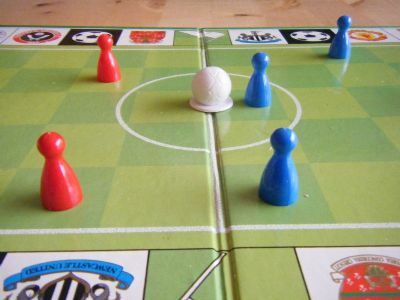 Use a dice to move the ball and players around the pitch. 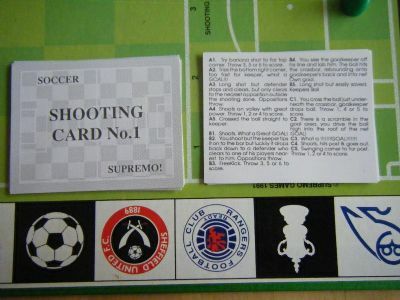 Then use the shooting cards to determine if you score or not. 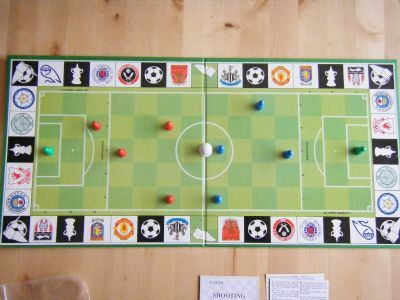 Use the cards and a dice to see if you have scored. Each square has different outcomes on the shooting cards determined by a dice roll. 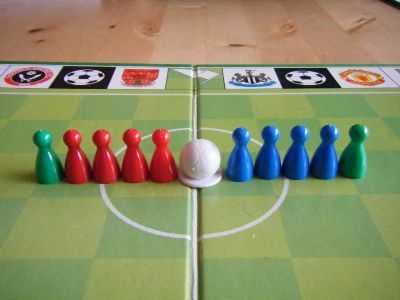 The two teams line up prior to kick off.